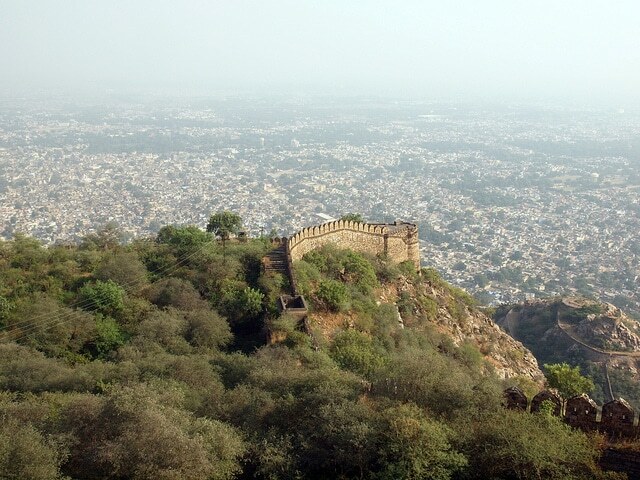 Located in Alwar, Rajasthan, Neemrana has a very historical aura to it. Visiting this city would make you feel like you can see India living its past with your own eyes. Filled with forts, temples, lakes, springs and a museum, this town can capture your heart. This town is also known as the heart of the ‘golden triangle’ as it is located at equal distance from Jaipur, Delhi as well as Agra. One should definitely stay at the fort-turned-hotel Neemrana Fort Hotel if they are in this town. However, other cheaper options for accommodations are also available. Food is not a problem here. Apart from getting the authentic Rajasthani food, there are joints for other types of cuisines as well. Given below are some places people definitely visit if in Neemrana. It is highly recommended that one stays at Neemrana Fort Palace for at least one night if they are in the city. It is a beautiful palace with excellent architecture both inside as well as outside. Built in 1864 AD, under the rule of Raja Prithvi Raj Chauhan, this palace is an extraordinary example of Indian architecture. This palace has now been converted into a heritage hotel and has many facilities. One can go swimming or attend the yoga sessions. Recreation rooms with different games are also available here. Staying at this resort will surely prove to be a great and memorable experience. Bala Quila is a huge fort, spreading over 5 kms from North to South and approximately 2 kms from east to west. It is located on the hill top and gives an amazing view of the entire city. The grand structure of the fort has around 74 towers that add to its magnificence. A number of legends are related to the fort and it is believed that the edifice has given shelter to many of the Mughals who were on a journey or were on an exile. It is an interesting site to visit for it speaks a lot about the architecture of the olden times. Though not very close to the city of Neemrana, this National Park is one of the best national reserves for tigers in the entire country. If you are an animal lover, visiting this park is a must. 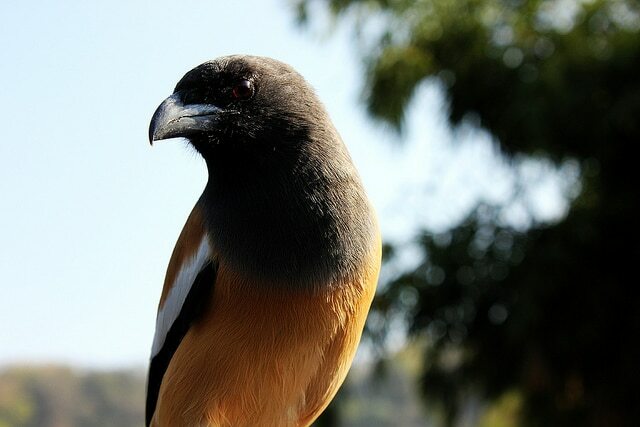 The Sariska National Park served as a hunting ground for the rulers in the past until it was brought under the government’s protection in 1958. These grounds also have the Aravallis encircling them, making it a beautiful location. Most of the people who come to Neemrana definitely visit here. Leopard, Royal Bengal Tiger, Samhar, four horned antelopes, crocodile, hyena, jungle cat and a number of birds can be seen here. 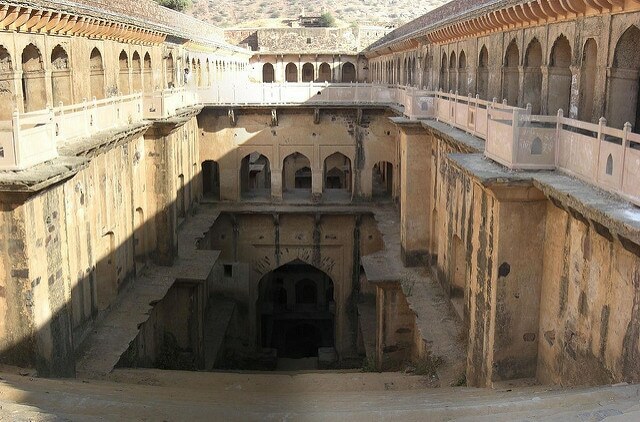 Baori is a huge underground construction of a nine storey building. As we move down, the structure seems to become narrower and narrower. This structure has not been taken good care of until very recently when the government is trying to make a craft ‘haath’ (market) down here. Being located close to Delhi, it is expected that it would attract a lot of tourists. Also known as the city palace, half of this place has been converted into a museum. The other half is being used by the government. Vinay Vilas Mahal is a perfect blend of Rajasthani and Mughal architecture and has a number of interesting things to look at. The murals, the paintings, the throne and the intricate mirror work are some of the most amusing things. Winters are the best time to visit Rajasthan because the summers here feature scorching heat which makes it impossible for one to explore the city properly. This town can be visited during the rainy season as well because it does not experience heavy rainfall. Neemrana is a very interesting place and every person interested in India’s glorious past should come here.